Perogies year round! Our food truck is just about ready to roll so until we do visit our casual dine-in or take-out restaurant at 993 Fir St in Sherwood Park. Open Monday to Saturday 11:30 am to 7:00 pm. 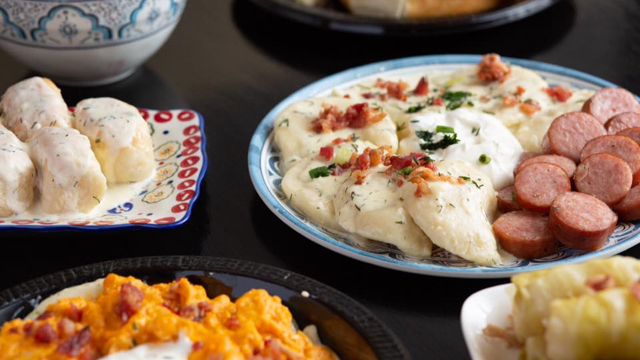 Specializing in Authentic Ukrainian taste-perogies in our signature cream & dill sauce, perogies with a twist, plus a delicious expanded Ukrainian menu: borscht, sour leaf cabbage rolls to name a few. Year round catering, school hot lunch, restaurant & food truck. Visit our Facebook page. 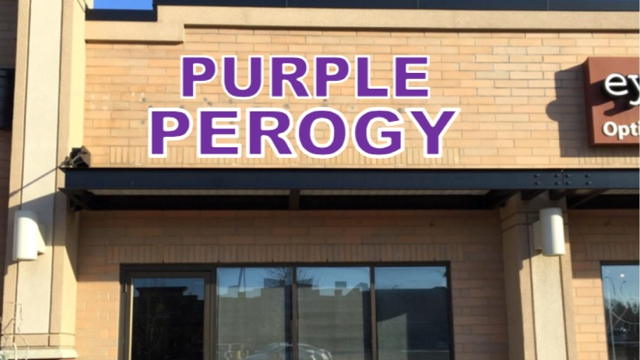 Sorry, we don't know when The Purple Perogy will be open next. We last saw them on March 30, 2019 at 993 Fir St, Sherwood Park. Check back soon — as soon as they post their schedule it will show up on this page. 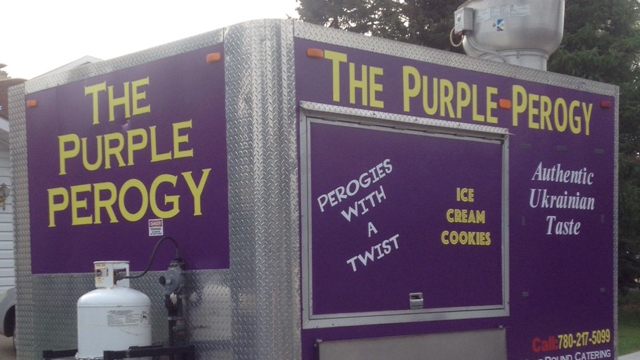 Do you own The Purple Perogy? Sign in to post your schedule.